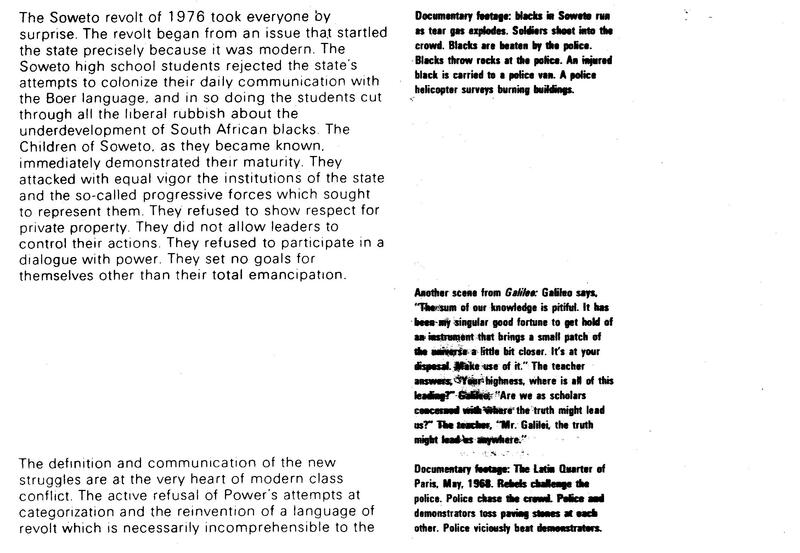 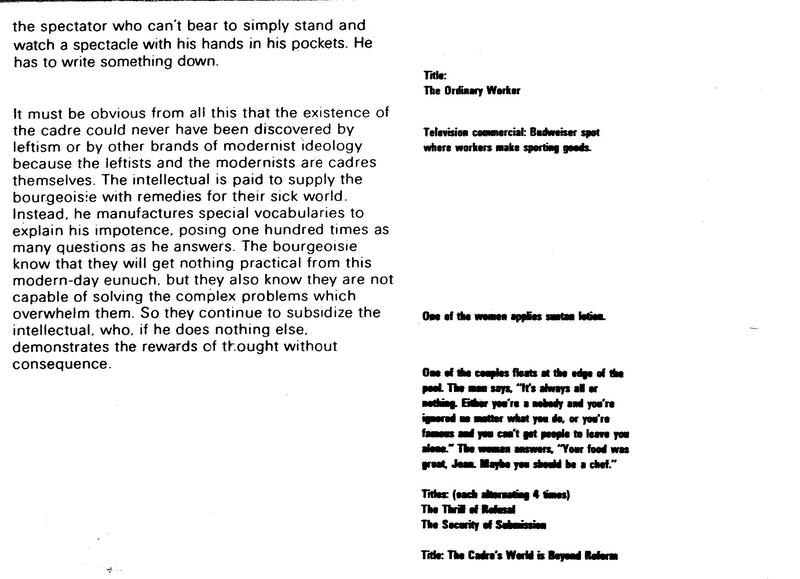 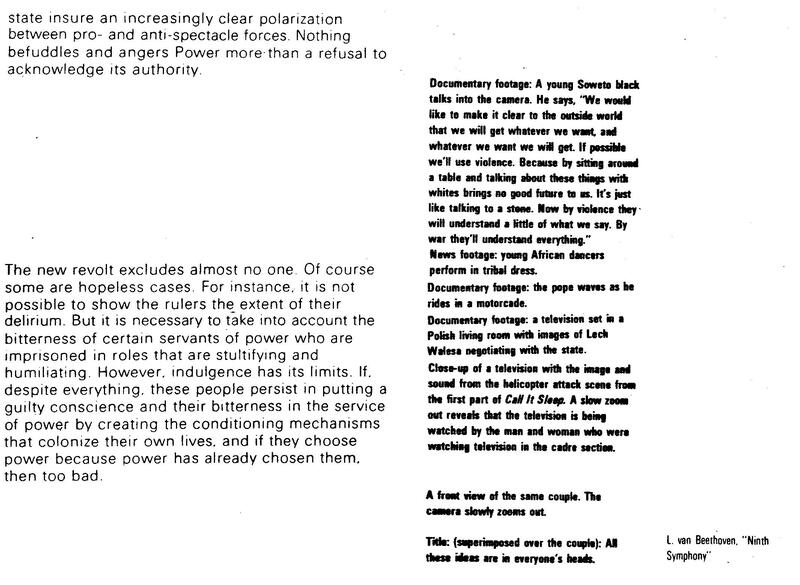 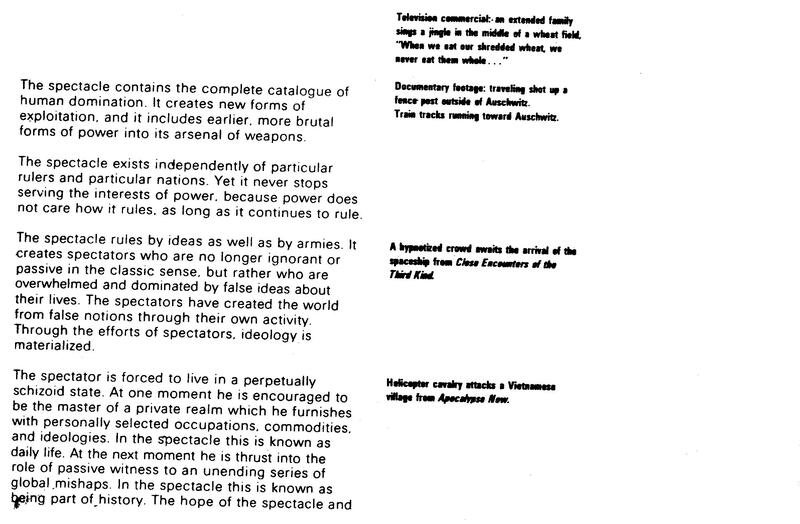 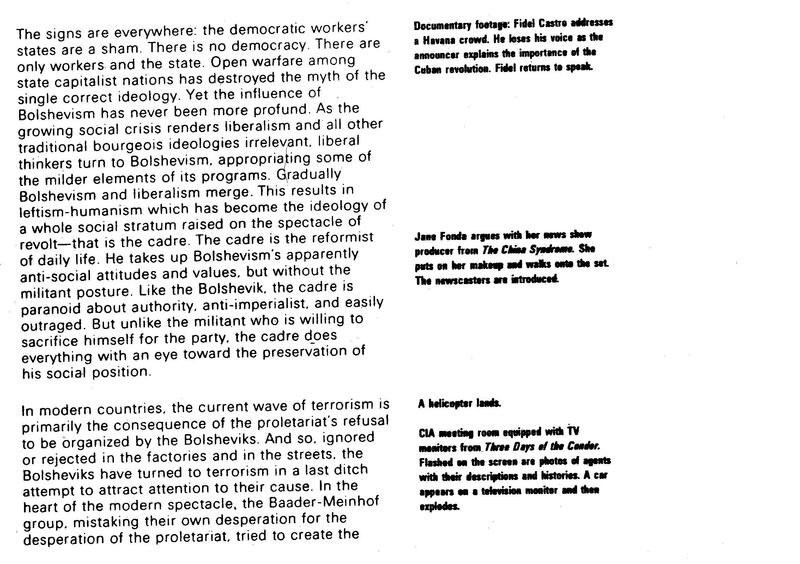 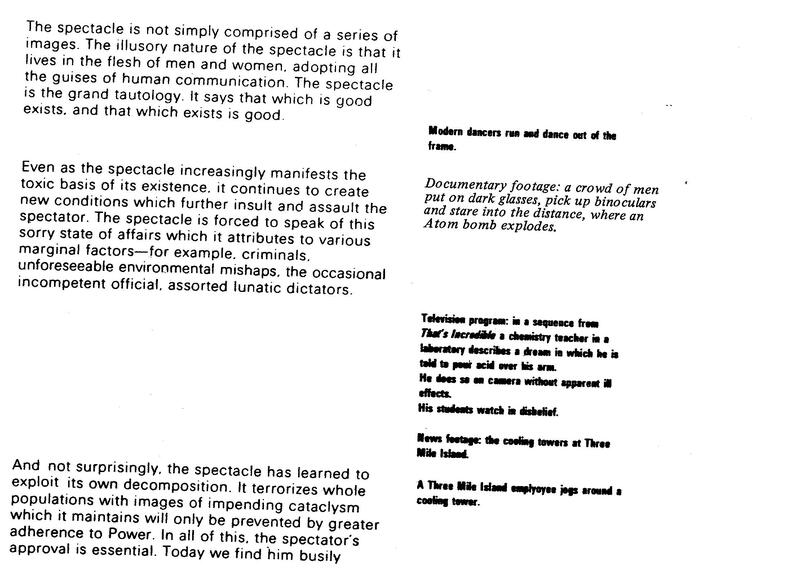 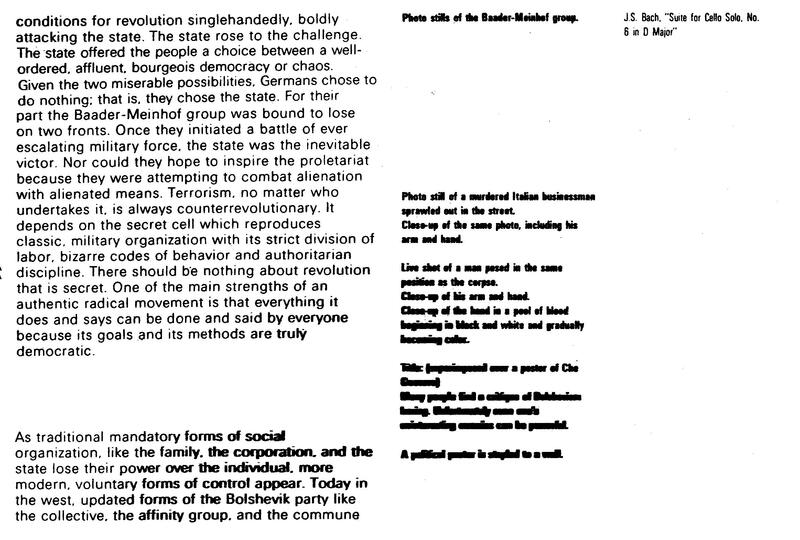 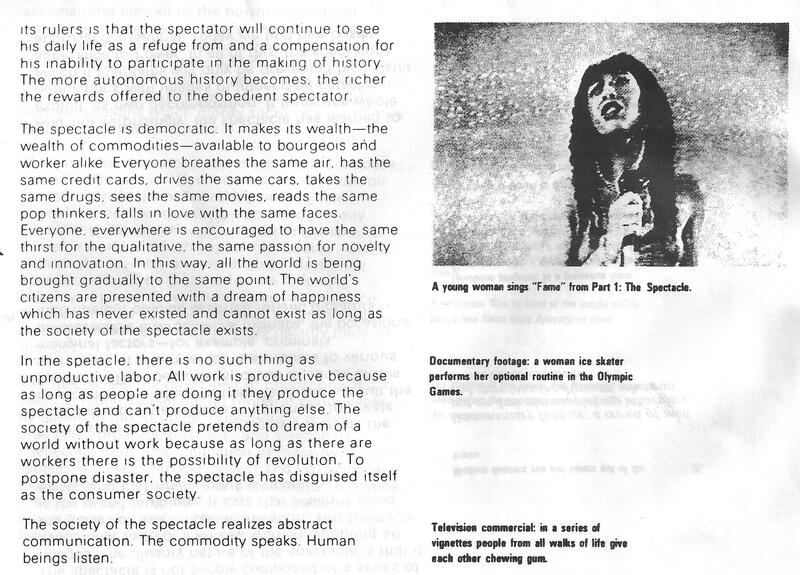 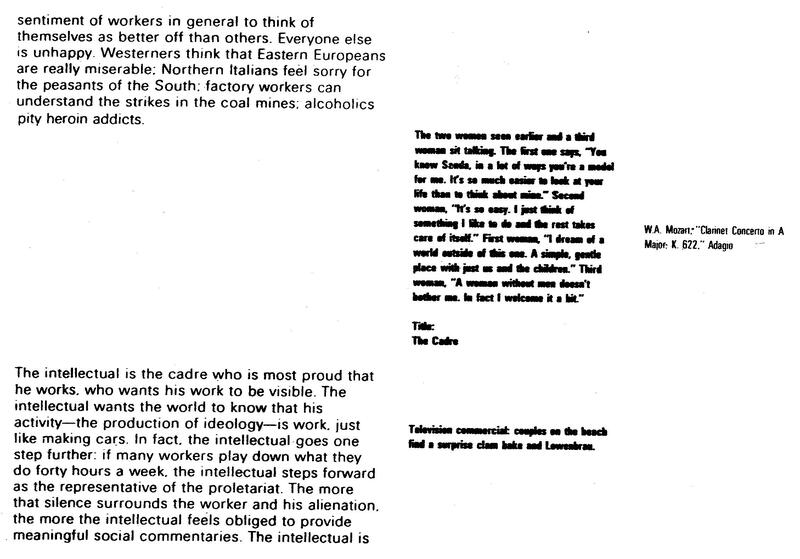 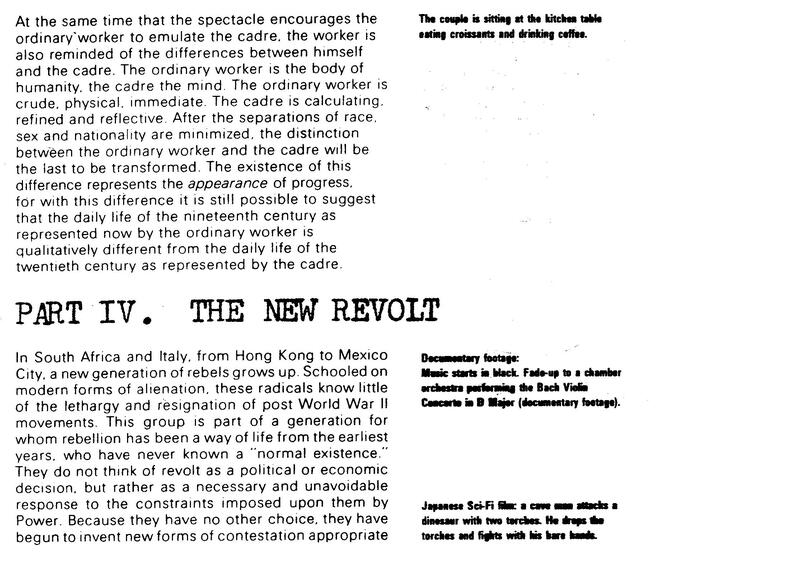 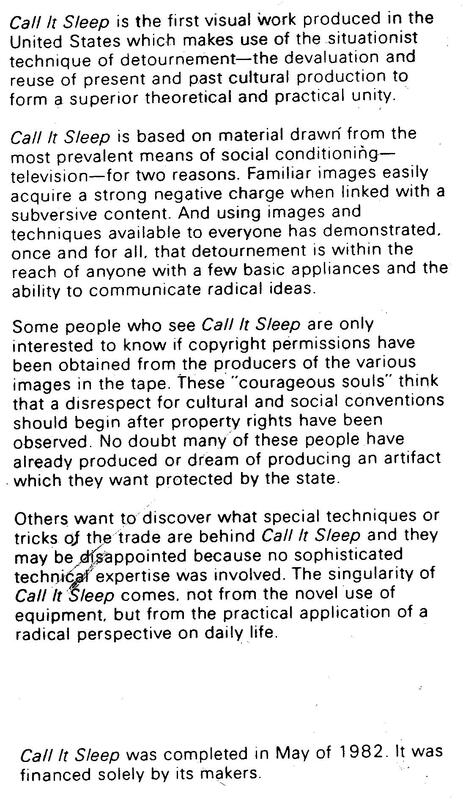 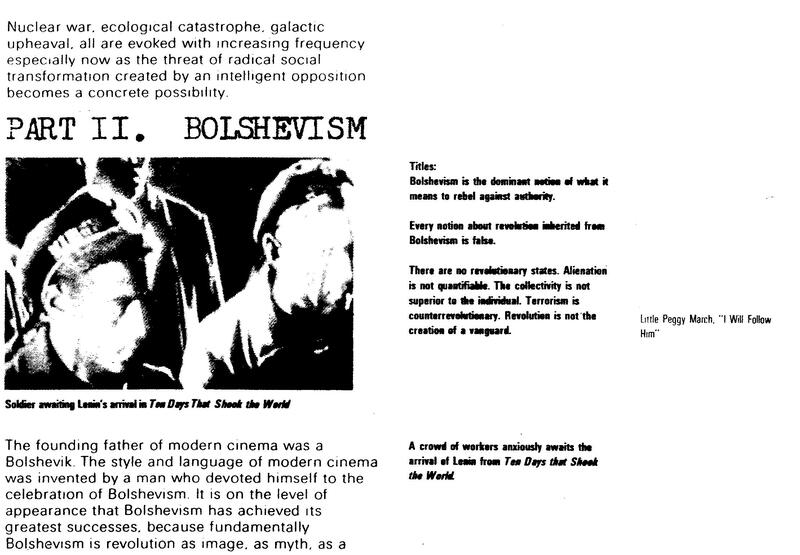 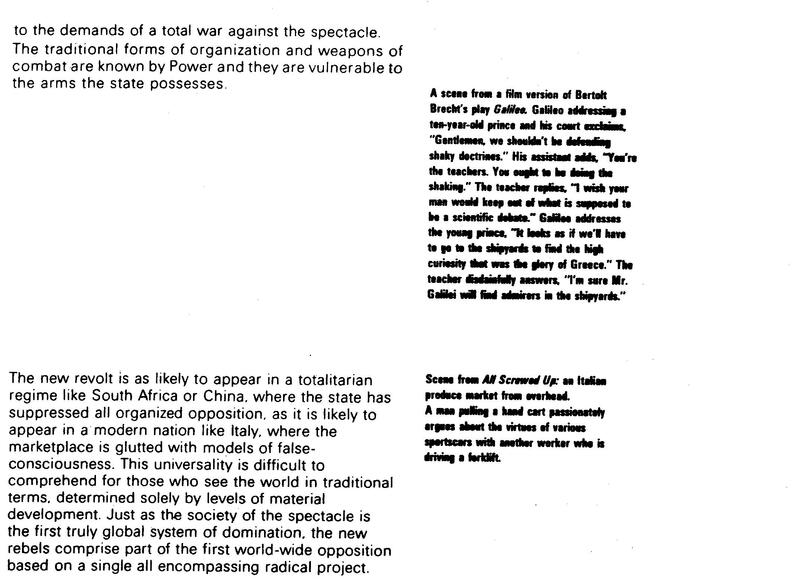 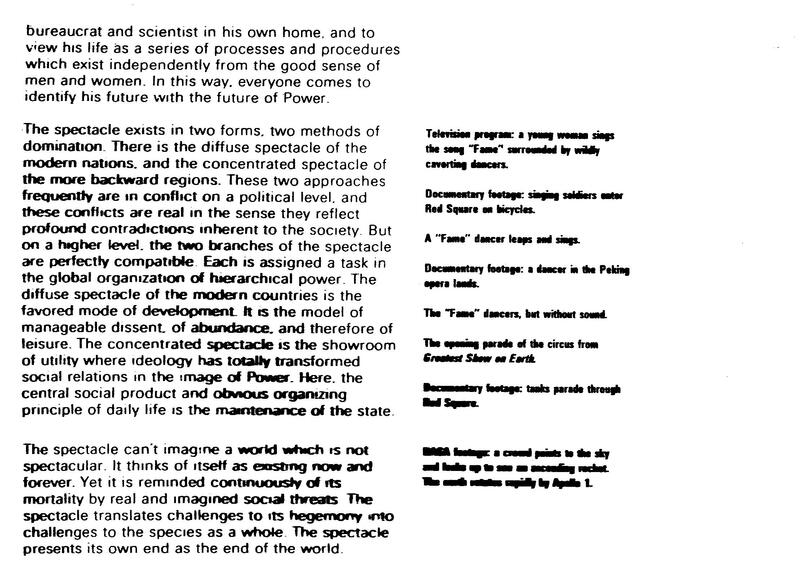 The script of the situationist-influenced video “Call It Sleep”, written and produced by Isaac Cronin and Terrel Seltzer, May 1982. 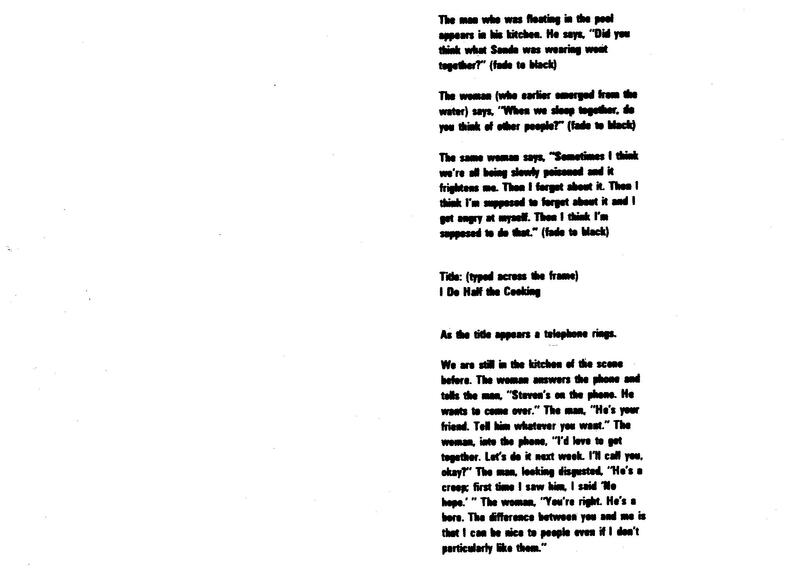 I published this script in the UK in September 1983 (the only bit I wrote is the 2nd page, just before the beginning of the script), and showed the video in various places for about 18 months afterwards. 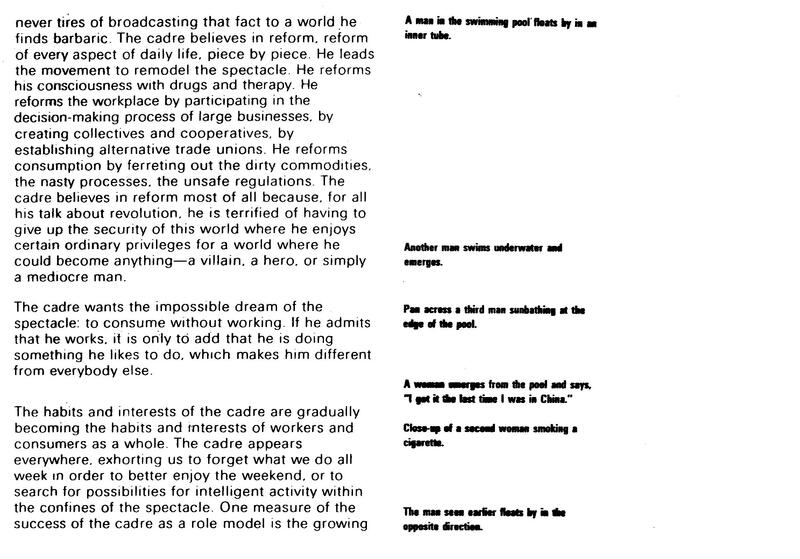 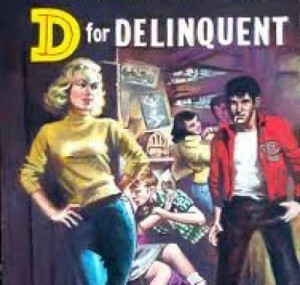 Many people didn’t like it, partly because of its rather detached almost monotone American narration. 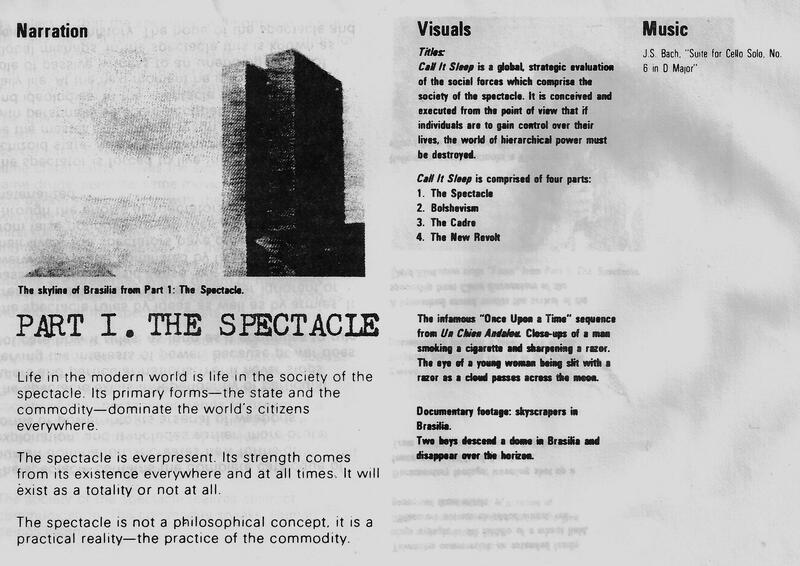 And partly because of its excessive tendency to abstraction. 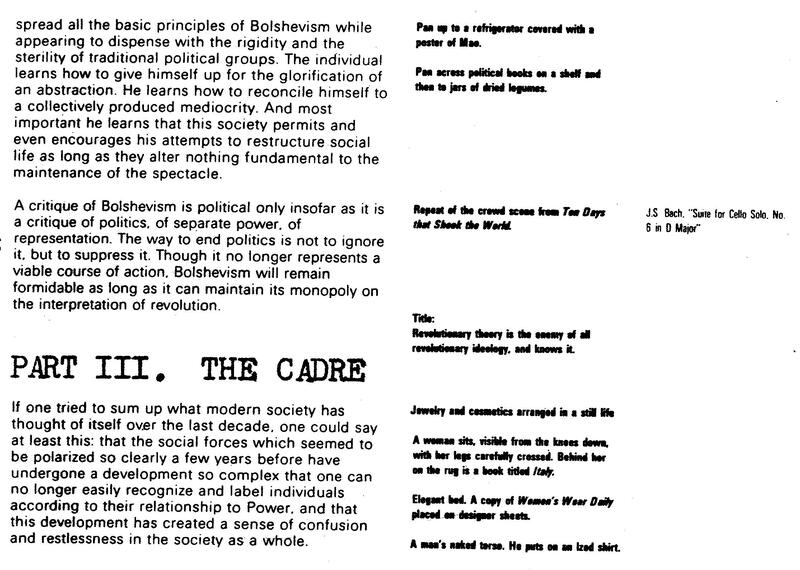 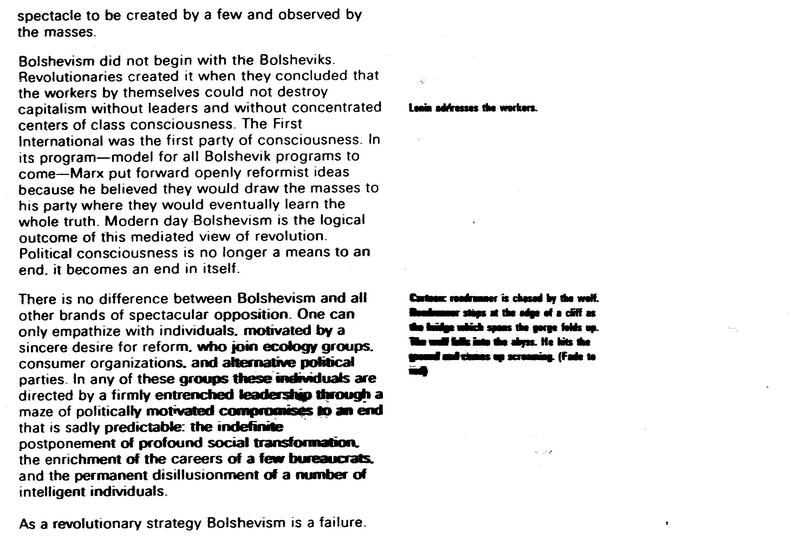 But the bit on the cadre is excellent, and still valid. 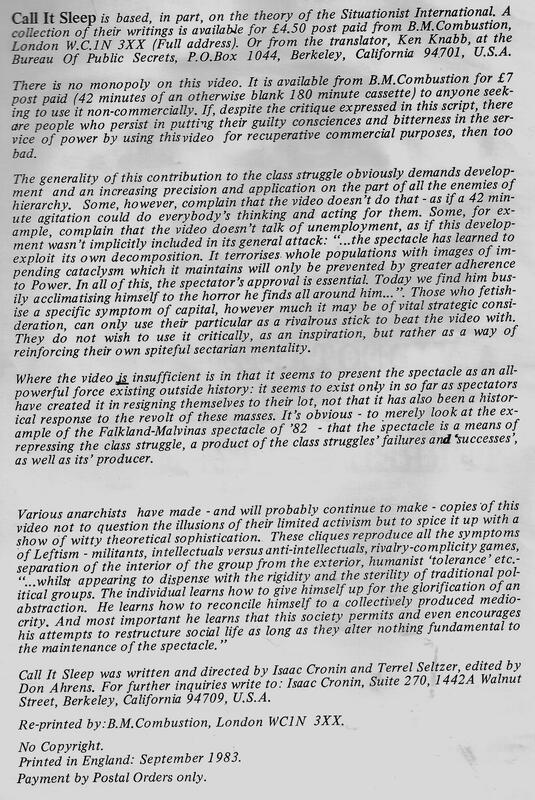 The rest was fairly good in the American context, where class struggle was fairly marginal, but didn’t really travel well to a country where class struggle was a constant and still central fact. 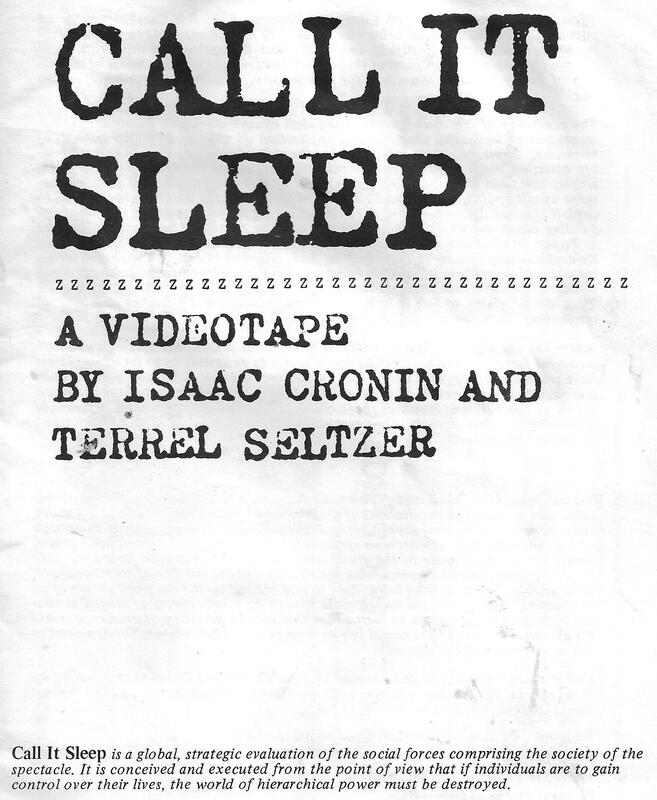 Isaac Cronin quickly sold out, however – even producing a yuppy cadre type book on money – “Money: myths and realities”, co-written with Paul Béland – just 4 years later in 1986. 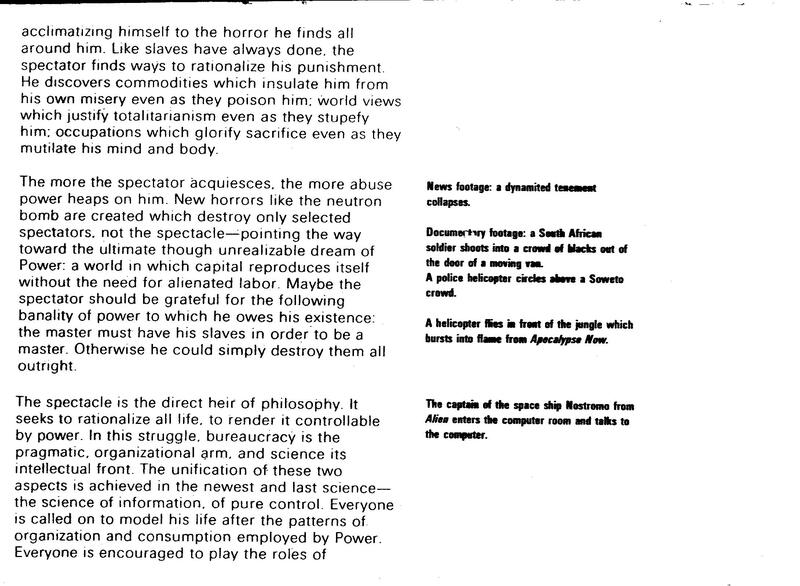 But one can no more judge someone on what they later became than one can judge someone on their past (it’s essentially ones contribution to subverting ones’ present complicity with this society that counts). 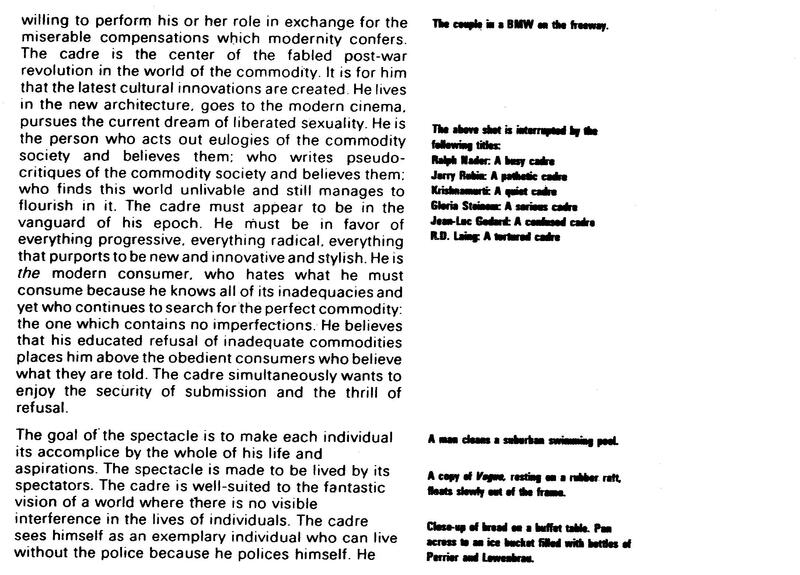 Anyway, if only for the bit on the cadre, this video was worthwhile .